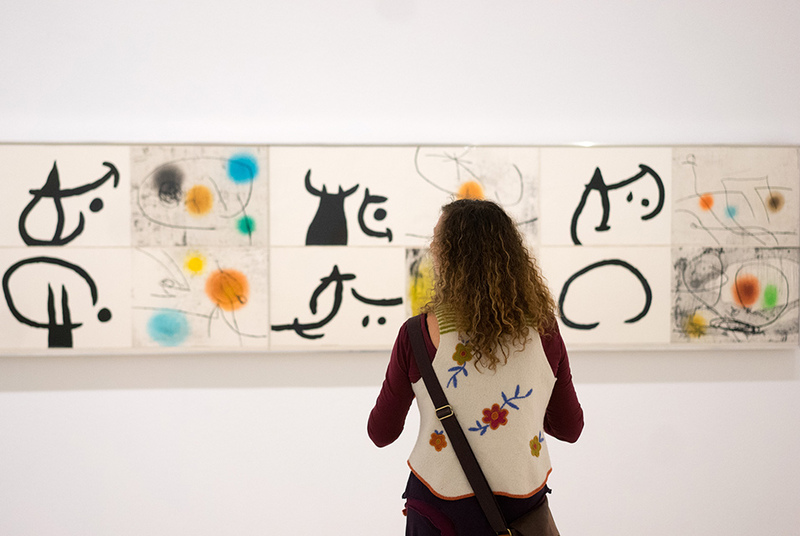 A visitor looks at works titled ”Lapidarium – Book of the Property of Stones” by Spanish artist Joan Miro during a preview of the exhibition “From Earth to Sky” at the Albertina museum in Vienna. From September 12, 2014 to January 11, 2015, the museum is showing a solo exhibition on the Catalan artist and master of surrealism. AFP PHOTO / JOE KLAMAR. View our amazing Joan Miro collection here without having to use your passport.